HOPE Initiative enters into a CSR project with ZS Associates, a US-based management consulting firm. Together we will be working on the much-needed health-based and infrastructural development of an underprivileged school- A-One Public School. This is a year-long project wherein the students, as well as their parents and teachers, will be given an opportunity on understanding how to take care of their physical and mental health apart from providing with basic amenities like clean drinking water, sanitation kits, dustbins, etc. We have already done the vaccination programs with the school children on World Hepatitis Day.1st dose of hepatitis vaccination was given to the children who were not immunized before. All 3 doses will be administered to these children to make them aware and protect from Hepatitis B. 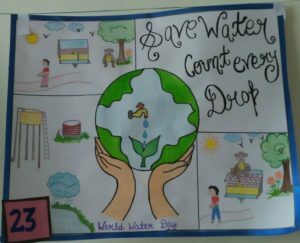 World Water Day (22nd March ) every year focuses on the importance of water. Today 2.1 billion people live without the access of safe drinking water at home. 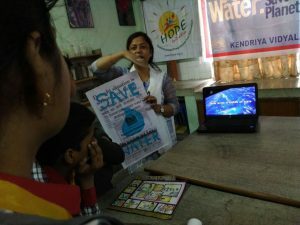 In order to create awareness HOPE Initiative organised Poster Competition with the students of Mayo College of Nursing, Hayat College of Nursing and KV School, Alibag, Lucknow. Almost 300 students participated altogether in this programme. 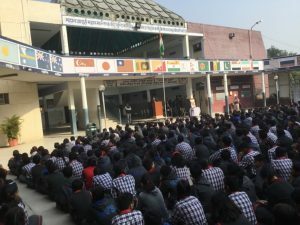 World Sparrow Day(20th March) was celebrated with students of Kendriya Vidyalaya regional headquarter Aliganj Lucknow.Around 800 students participated during assembly time where students were briefed about world Sparrow Day and how to take initiative to save their life.Sparrows are the sign of healthy environment and the important bird that lives easily between humans, Students were informed to keep water and food for birds. 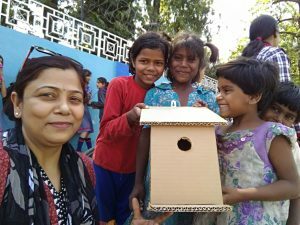 Models of nest made of cardboard were distributed to students and teachers. 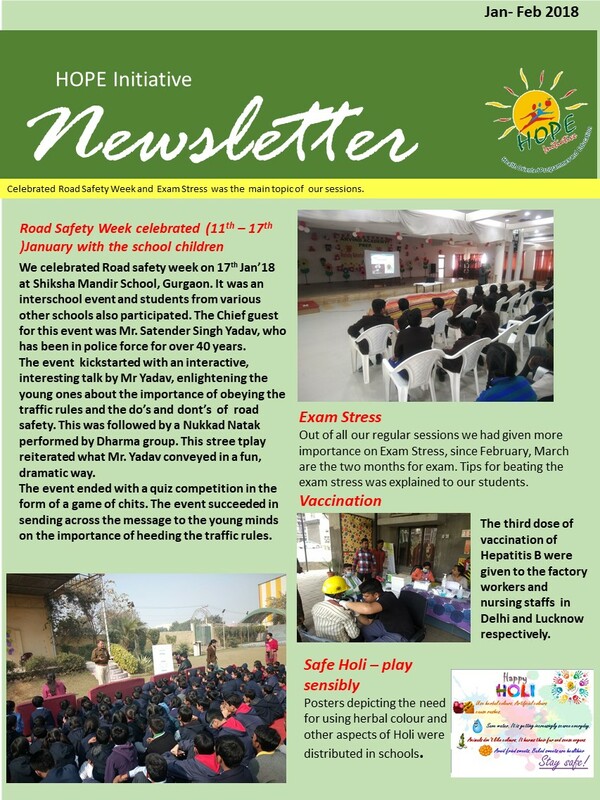 We celebrated Road safety week on 17th Jan’18 at Shiksha Mandir School. It was an interschool event and students from various other schoold also participated. The Chief guest for this event was Mr. Satender Singh Yadav, who has been in police force for over 40 years. 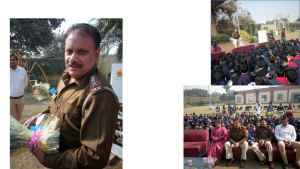 The event kickstarted with an interactive, interesting talk by Mr Yadav, enlightening the young ones about the importance of obeying the traffic rules and the do’s and dont’s of road safety. This was followed by a Nukkad Natak performed by Dharma group. This streetplay reiterated what Mr. Yadav conveyed in a fun, dramatic way. The event ended with a quiz competition in the form of a game of chits. The event succeeded in sending across the message to the young minds on the importance of heeding the traffic rules.